If you look closely at the newly unveiled Peterbilt Model 579 UltraLoft sleeper, you may see the fingerprints of the 400 drivers who shared opinions, the more than 100 drivers who were brought in for prototype feedback and the countless fleet customers who informed the integral sleeper design. You’d also notice the signatures of Peterbilt’s executive leadership team, who continue to address the equipment challenges that drivers deal with on a daily basis by crafting products that make their jobs easier. For fleets, that means keeping your drivers happy, productive and, most importantly, driving for your operation and not a competitor. Quinn sat on stage with Robert Woodall, Peterbilt’s assistant general manager of sales and marketing, and Scott Newhouse, Peterbilt’s chief engineer. A pair of Peterbilt 579 UltraLoft trucks—one sporting a spacious single bed configuration, the other offering a roomy double bunk setup—flanked the stage. Both 80-in. integral sleepers offer massive amounts of headroom, an impressive array of storage (70 cu. ft. to be precise), large microwave, fridge, a 42-in. hanging height wardrobe and enough room to fit a 32-in. flat screen TV. Both lower bunks measure in at 85 in. long and 42 in. wide, while the double bunk configuration adds an 82 in. long, 36 in. wide upper bunk. While the Peterbilt team was making sure drivers would be happy, they knew that fleets had efficiency demands of their own. “A significant part of the market wants a full integral cab, sleeper design,” Woodall said. “We didn’t have access to some of the fleets, regional fleets and owner-operators who demand that product. The Model 579 UltraLoft gives us a product that will help fleets attract and retain drivers. The answer: Solving the challenges faced by drivers and fleets alike. That meant upping the Model 579 UltraLoft’s efficiency game with an updated aerodynamic design that boasts up to a 2% fuel economy improvement when compared to the Model 579 discreet sleeper. The move to an integral sleeper also helps the Model 579 UltraLoft shed some weight—it’s 100 lbs. lighter compared to the Model 579 discreet sleeper—all while retaining the signature Peterbilt styling that give a fleet’s drivers a sense of pride when rolling down the road. Fleet Equipment Editor Jason Morgan checks out the storage features. “We heard a story,” Newhouse began, “about a seasoned driver—someone with lots of experience—who was getting to the point where he was ready to step away from the job. The fleet manager told us that because of some of the available technology like automated transmissions, that valued, experienced driver decided to stay on another year. The UltraLoft’s design processes started with Peterbilt listening to 400 drivers’ opinions on what would make a superior integral sleeper. Newhouse’s engineering team took that feedback and moved into a rapid prototyping stage, in which foam core was used to create the first design iterations. Peterbilt would bring drivers in to experience these early prototypes and if they suggested a change, Newhouse’s team could turn their idea into a prototype reality—in the case of foam core designs in as little as 15 minutes—and let the drivers experience the improvement right away. The goal was to create real-world situations and address the problems that occurred naturally. You can talk about what it’s like to kick back in a cab bunk while charging your phone, but it’s a completely different experience when you rip your phone’s charging cable out of the outlet when you actually try it. The same goes for trying to climb into the top bunk after a long day on the road. The foam core prototyping process allowed Newhouse’s team to discover and address those issues long before the design moved into the final phases. Plenty of room to stretch out. It’s a process that falls in line with Peterbilt’s “purposeful innovation” philosophy—“purposeful” being the key word. “Look at the ladder on the UltraLoft. 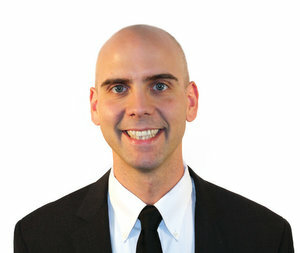 To me, that a great example of purposeful innovation,” Woodall added. “Not every Class 8 sleeper has a way to access the upper bunk; different manufacturers do it in different ways, from stepping on table tops to climbing on the lower bunk. Our solution isn’t just throwing a ladder into the sleeper that’s in the way. The uncharacteristic rain clouds over Scottsdale, Ariz., dissipated and the sun peeked out to catch a glimpse of the Model 579 UltraLoft trucks, the sunlight highlighting the sharp new aerodynamic curves painted in Peterbilt’s Legendary Red. 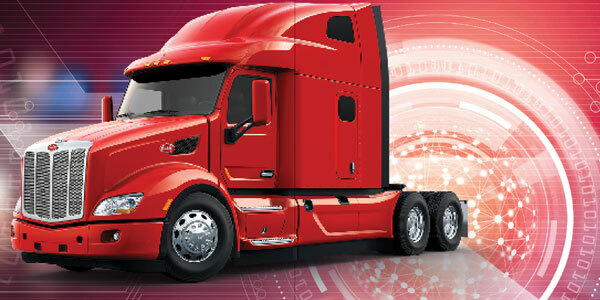 The trucks started down the road and into a world where the Class 8 on-highway market is more competitive than ever with nearly every OEM having introduced cab upgrades in the past two years and new players, both traditional trucking companies and new technology companies, entering the market. Quinn and his executive team are confident that the latest iteration in the evolution of the Model 579 will continue to drive market share gains.